This recipe calls for pork. Chuck roast may be substituted. Six hearty servings. Remove bone & excess fat from rib; cut meat into1-inch, finger-length pieces; you’ll have about 2½ pounds of meat. Season meat with salt and pepper. In a large saucepan, heat 2 T oil until almost smoking; add meat in batches and sear until browned on all sides, about 15 minutes. Remove meat and reserve. Reduce heat to medium and add wine; deglaze until wine is nearly evaporated, about 5 minutes. Put meat back into pan and pour in beef broth halfway up the meat; you may not use all the beef broth. Cover pan with tight-fitting lid and simmer over very low heat, 30 minutes. While meat simmers, in another pan saute onions, garlic and sage over medium heat in 1 T oil. 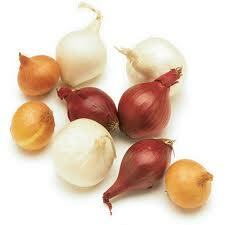 Cook until onions become translucent, but do not permit them to brown, 8 minutes. Remove pan from heat and add flour, blend thoroughly. Remove onion mixture and reserve. 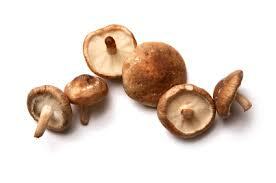 Heat reaming 2 T oil in pan and add mushrooms; saute until golden brown. After braising pork 30 minutes, remove cover, stir in diced tomatoes & their juice and replace lid. Continue braising another 30 minutes. Add mushrooms, pearl onions and the onion-flour mixture. Stir to mix well, add salt and pepper and replace lid. Continue braising 30 minutes. Check meat for doneness – it should be very tender. Turn off heat and adjust seasonings. Serve over noodles or boiled potatoes, with fresh Tomato Relish on the side. This entry was posted in Main Courses, Recipes and tagged braise, mushrooms, pork, ribs, roast, shitakes. Bookmark the permalink.